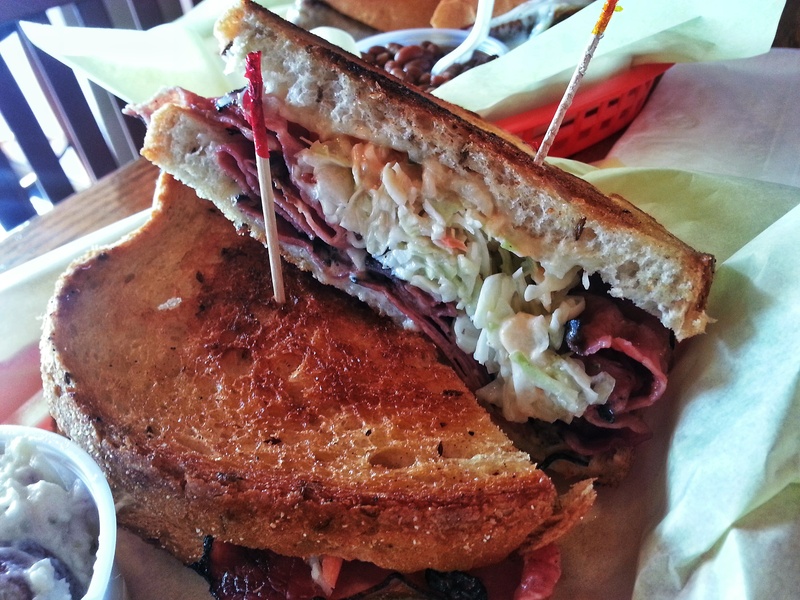 Man I love the Pastrami Ruben from Big Belly Deli in Costa Mesa. Every chance I get I’m looking for an excuse to go there. I love that there’s not too much meat. I love the coleslaw. I love the dressing, but what I most love is the toasted bread. It’s perfectly toasted every time. This sandwich couldn’t handle the moisture of the coleslaw without the toasted crunch of the bread. I sigh, smile, and feel like a little kid every time I bite into this sandwich. PS: get the potato salad. Posted in Costa Mesa, grilled, Lunch, Meat, Sandwich, Southern CaliforniaTagged Big Belly Deli, costa mesa, Deli, Pastrami, sandwich, Southern California, ToastedBookmark the permalink.